I have attended the 19th PAKDD 2015 conference in Ho Chi Minh City, Vietnam from the 19th to 22nd May. In this blog post, I give some brief comments about the PAKDD 2015 conference. PAKDD ( Pacific-Asia Conference series on Knowledge Discovery and Data Mining ) is a top data mining conference, held every year in Asia or the pacific area. 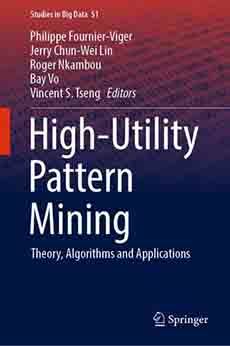 The proceedings are published by Springer in the Lecture Notes in Artificial Intelligence series. The conference was held at the Rex hotel which is centrally located in Ho Chi Minh City. This year, 405 papers were submitted and 117 papers were accepted, for an acceptance rate of 28.9 %. The first day had workshops and tutorials, while the following days were paper presentations. In terms of social activities, there was an excursion to visit some old tunnels used during the Vietnam war, and I also visited the Mekong Delta. I also met some very nice Vietnamese students who used my SPMF software in their research and treated me to restaurant. At PAKDD, I presented the paper of my student about a new model called CPT+for sequence prediction. PAKDD 2014, PAKDD 2017, PAKDD 2018 , and PAKDD 2019 conferences. Philippe Fournier-Viger is a professor, data mining researcher and the founder of the SPMF data mining software, which offers more than 150 data mining algorithms.